To absolutely nobody's surprise, Walt Disney Pictures' "Inside Out" won the Oscar for best animated feature film. There was absolutely no suspense to the award whatsoever. To be frank, this was a weak year for animated feature films, with no "Ratatouille" in sight, let alone a "Frozen." I can think of several great animated films of recent years, such as, oh, "Wreck-It Ralph" for example, that were more enduring than "Inside Out." In a weak year, though, the big-study favorite invariably wins. It was the safe choice, and was deserved. Kids love it. Congratulations to the winners, superb execution. "Bear Story" won for best short, which was a minor (but welcome) surprise. Well-deserved, but a surprise considering that it was up against a Pixar film. 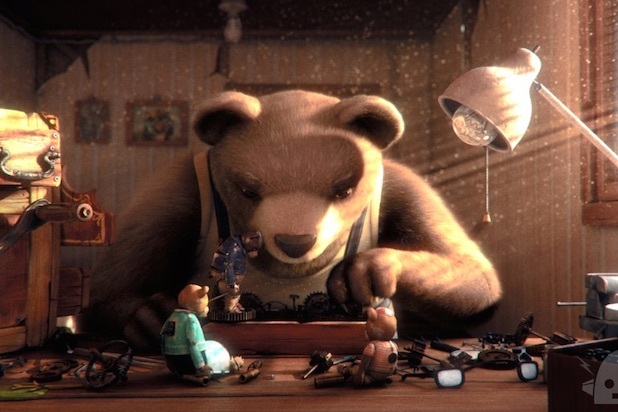 The animation was indifferent by modern standards (which are quite tough to stand out from), but the story was told well and the tale touched the heart if you let it (the bear works through sadness and regret and marches on). Really, that is what film - not just animation - is all about. It also is something that I personally found lacking in "Inside Out" despite its brilliant technical execution. I personally like the choice of "Bear Story," which required some actual thought and originality from the Academy members. 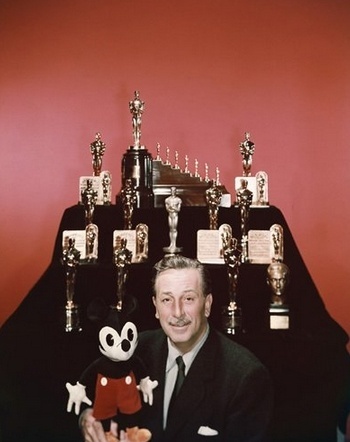 It was nice recognition of the wide range of animation today throughout this great big world. "Every day, a melancholy old bear takes a mechanical diorama that he has created out to his street corner. For a coin, passersby can look into the peephole of his invention, which tells the story of a circus bear who longs to escape and return to the family from which he was taken." "Bear Story" was made by Gabriel Osorio and Pato Escala at Punkrobot Studio. In my preview of the Oscars, I went on and on about how my sentimental choice would be a win from one of the foreign efforts, and Bear Story - from Chile - fits the bill nicely (financed in part by the Chilean government). 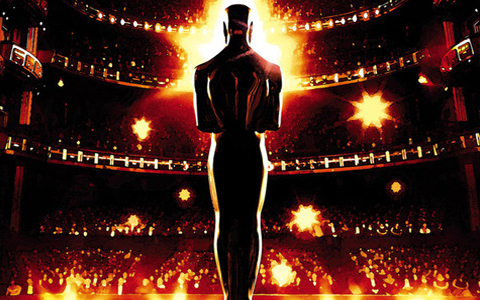 "Inside Out" also was up for a Writing (Original Screenplay) Oscar. It did not win. This did not surprise me at all. The whole concept behind "Inside Out" is a hoary cliché that goes back over 40 years, when Woody Allen did an extended riff on it. It was fresh then, not so much now. In this case, the true honor really was to be nominated.